BORDEN, Ind. (WDRB) -- A southern Indiana girl is on a mission make sure kids in need have something to open this holiday. The teen is using her colorful clothing collection to make a difference. It can be a split second wardrobe decision or the most important one. "The socks are basically the only game I have," said WDRB.com reporter Jason Riley. Just ask the people in our newsroom. "Instead of having a midlife crisis where I got a new car, I threw out all my old man socks and bought several dozen pair of cool socks," Riley said. The options in this growing trend are endless. "I have socks with hot dogs on them, crabs, turkeys, skulls, you want me to keep going?" said Sterling Riggs, anchor for WDRB in the Morning. Something so simple can be a mood changer. "It's kind of part of my personality, if you will," Riggs said. Thirteen-year-old Brianna Medlock's sock game might just give everyone a run for their money. "Just in here, there's like 1,200," Medlock said. "After I get home from school, I usually try to finish my homework and eat and then for a couple of hours before I go to bed, we're doing sock orders and putting them together. It's pretty time consuming," Medlock said. She started "Brianna's Silly Socks" when she was just nine years old. "She came to me and she was just like, 'I just want to do something for kids,' and I said, 'Well, what do you want to do?' She started talking about the socks, and I said, 'This is a big project. Are you sure you want to do it?' She said, 'Yeah.' She wanted to take on the challenge," said Brigette Medlock, Brianna's mother. What started as donations from family turned into much more. 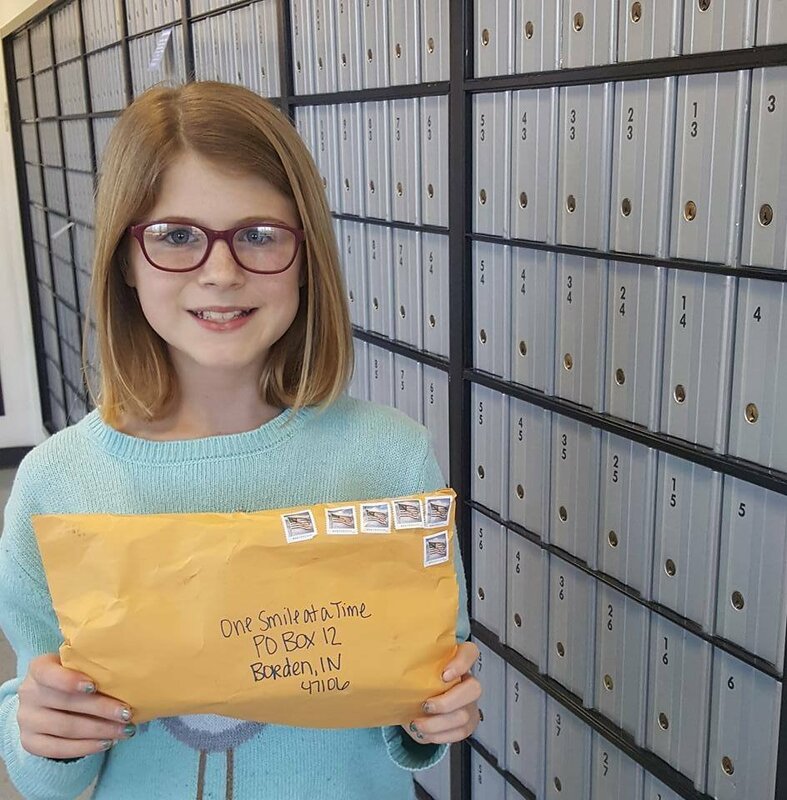 "Tons of people started to send us socks," Brigette said. "We just got a box the other day from somebody that we didn't even know, and it's really cool to know that people all over know about this and can help out," Brianna said. Between business fliers, sock boxes, a Facebook page and a P.O. Box, she's always taking donations. "It's something fun, and people need them," Brianna said. She gives to kids in hospitals, the homeless and foster homes, dropping off her latest delivery to Childplace. It's a home to children who are at risk. "They're not with their families. So, they'll be able to have these around the Christmas season and have something fun to wear and be able to have," said Kim Samuel, administrative coordinator for Childplace. 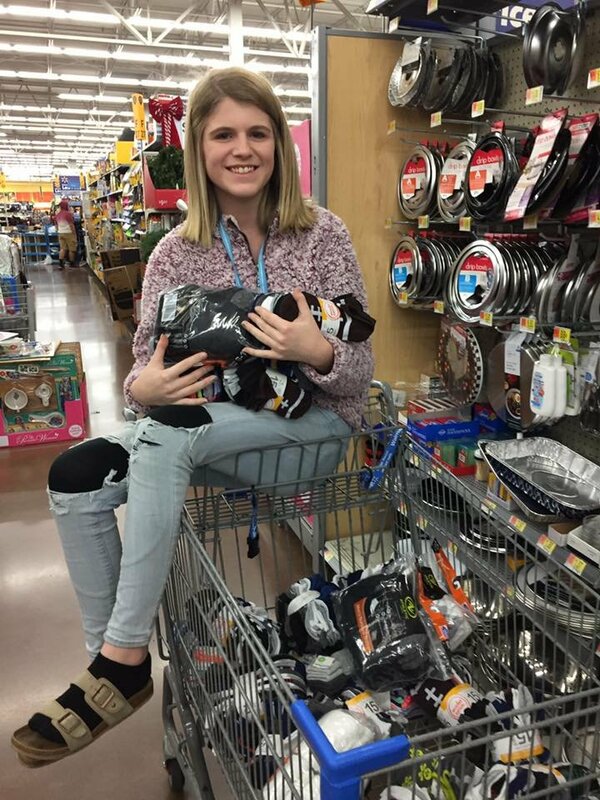 Brianna hopes to collect even more socks to help more kids. "I was really proud to hear that she was so thoughtful in thinking about other kids because so many kids don't think about other kids. They think about, 'What do I want myself,'" Samuel said. Brianna is brightening up the holidays in her own way, with stockings for a bolder holiday. "She just has a great, big heart, and she loves to help other people," Brigette Medlock said. Socks and financial donations can be sent to "Brianna's Silly Socks" at P.O. Box 12, Borden, IN 47106.